I’m as excited as an eldritch horror to announce I’ve got a new short story, “We Will All Be Ghosts,” coming out in the Innsmouth Free Press in October. 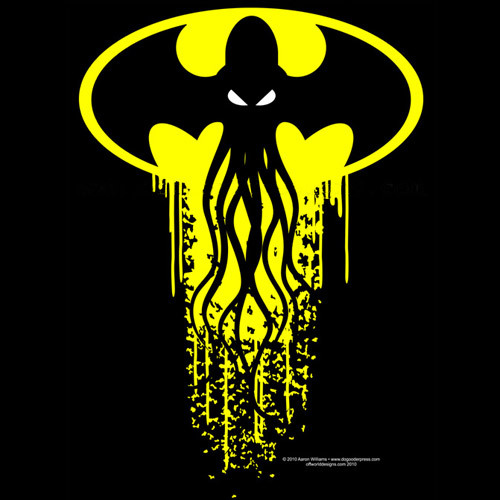 It’s a Lovecraftian superhero story of sorts, which is all I can really say about it for now. I grew up reading Lovecraft — bought my first anthology in Grade 4 — and playing Call of Cthulhu, so this is a pretty emotional moment for me. I really can’t talk about it… shoggoth has my tongue…. While you’re waiting, why don’t you check out some of the other offerings from the Innsmouth Free Press, including its Monster Bytes newspaper, created by readers. And hey, you can always help keep the Free Press alive through donations. They’re Canadian, after all…. Posted on September 15, 2011, in Uncategorized and tagged Cthulhu, Innsmouth Free Press, Lovecraft, Peter Darbyshire, short story, We Are All Ghosts. Bookmark the permalink. Leave a comment.